My Mom told me about these little gems recently, and how incredibly scrumptious they were, so it goes without saying… I just had to try them out. I did last night and she was NOT kidding! Today, I brought them into work and they went over like gangbusters! In addition, everyone was shocked that they’re only made up of three ingredients and the inside is totally creamy! They do take a little bit of work to put together, but I promise you, it is well worth the effort! I decided to divide the recipe in half and make these smaller than one inch instructed on Kraft’s site (although they look larger in the picture), and thought they were the perfect size. 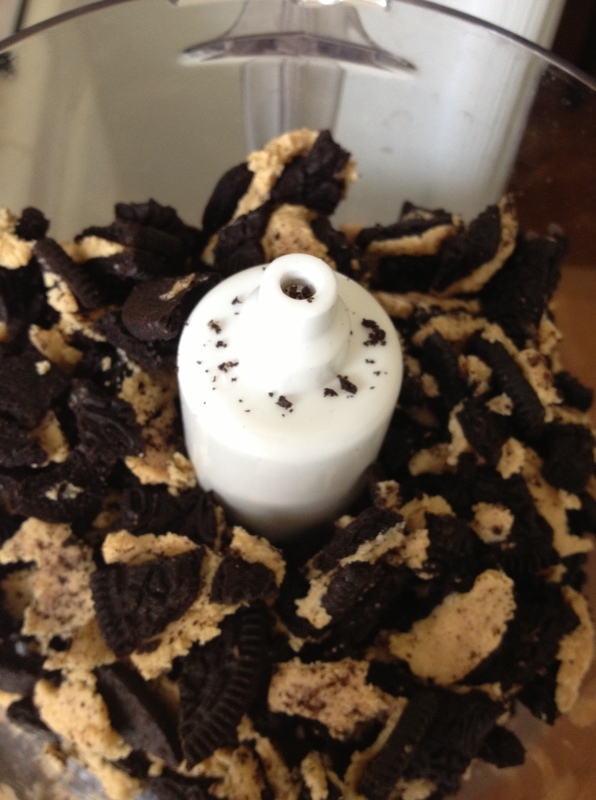 Break Oreos into small pieces, place into food processor (or blender) and grind to fine crumbs. Reserve 1/4 cup of the crumbs. 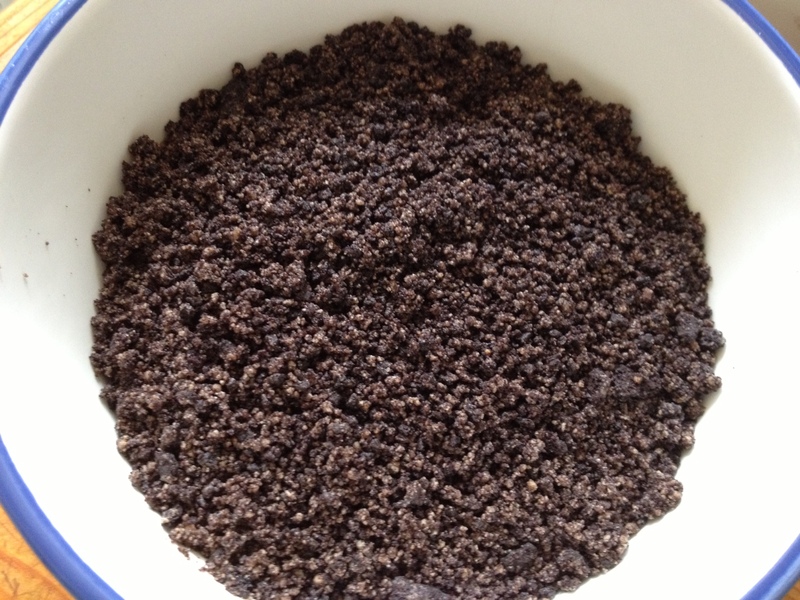 Combine cream cheese & remaining crumbs in a bowl until well blended. Shape into approximately 48 (1 inch) balls. Put in freezer for 15 minutes to harden. Melt chocolate in microwave* or in a chocolate warmer (my favorite). 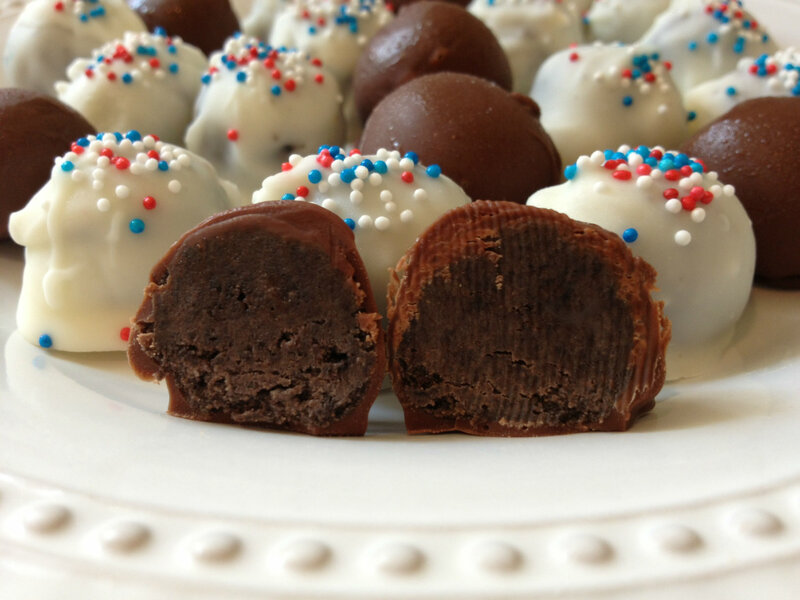 Dip the oreo-cream cheese balls into chocolate, using one or two forks, or a toothpick, until covered, and place on wax or parchment paper-covered rimmed baking sheet. Sprinkle immediately with reserved crumbs and refrigerate for 1 hour or until firm. * To melt chocolate: Place chocolate in microwavable bowl. Microwave on HIGH 2-1/2 min. or until chocolate is completely melted, stirring every 30 sec. 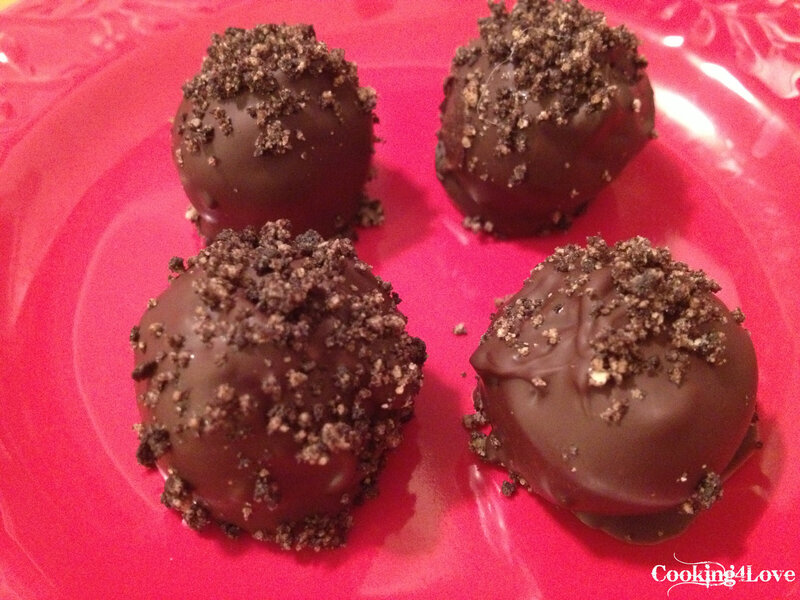 This entry was posted in Desserts, Recipes, Vegetarian and tagged chocolate, cream cheese, dessert, Oreos, truffles. Bookmark the permalink.